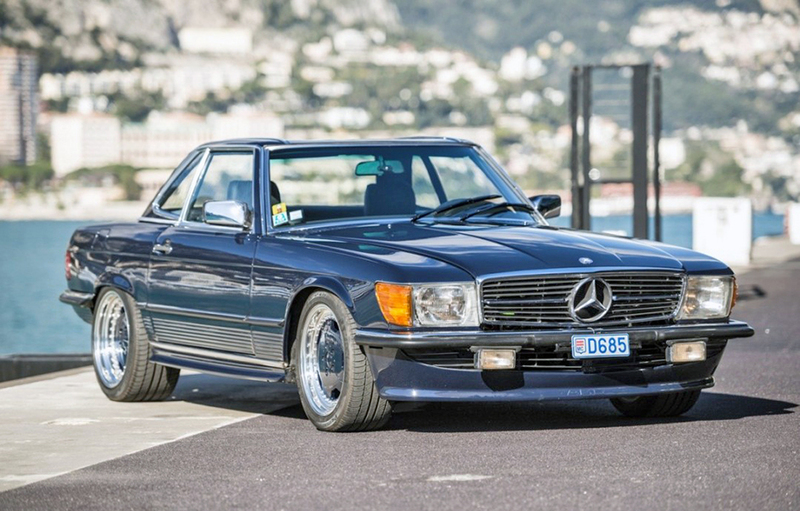 This extraordinary 560SL-based AMG creation recently popped up for sale offered by a dealer in Monaco. Aside from the car’s epic specification, the car boasts an ownership history that includes a gentleman who is particularly familiar with Monaco’s charming, twisty streets – the great Michael Schumacher. 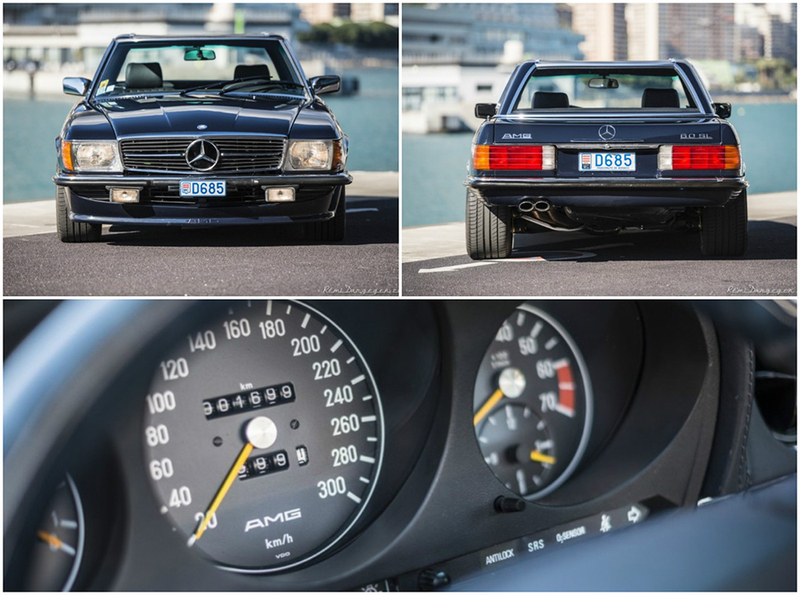 One of three such examples constructed circa 1986 by AMG – the original uncompromising AMG that existed before being purchased by Mercedes-Benz – this SL represents the peak of 107 performance and grip. 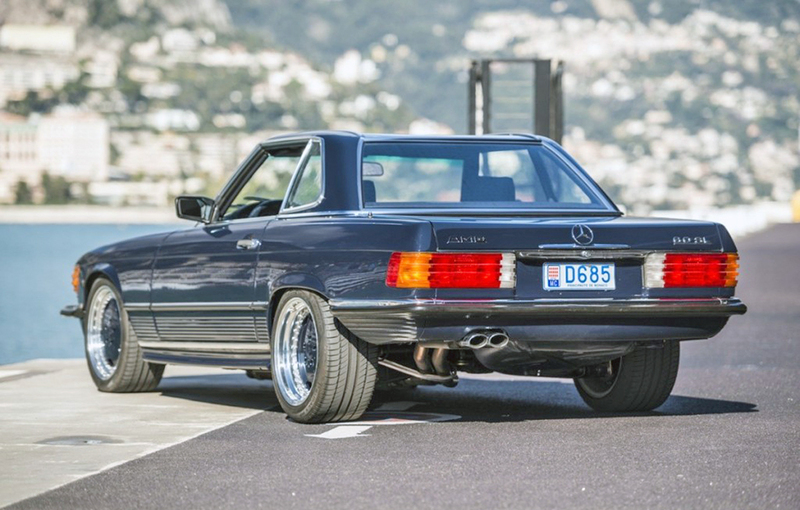 Surprisingly restrained, the 6.0 liter SL displays just the right stance. AMG items include deep front spoiler, body colored (904) mono-block alloys and rocker extensions. Sourcing the 330 HP 6-liter SOHC engine from their legendary 300E ‘Hammer’, the boys at AMG created a street fighter befitting Mr. Schumacher’s seven world championships. Details of the build are minimal but short springs, performance shocks, suspension geometry, ventilated discs and stiffer bushings were probably part of the package. Cosmetics are tastefully restrained and are embellished by AMG’s signature mono-block alloys, a deep chin spoiler, side rocker extensions and surprisingly no tail spoiler. The package looks fabulous to me. It appears that this wheel/tire combination is the largest that a 107 can accommodate without coachwork modications. Maybe just 1700 miles since the restoration. Restraint was not on for the interior and it’s a rich mix of full blue – it was originally delivered in tan – leather (including the dash pad/center console! ), rich blue-hued burlwood and a fully integrated trick sound system. During its restoration by ex-AMG man Pano Avramidis, an E55 steering wheel and kinder seat were added. It’s still available for about $330k and I would surmise that when it sells it will likely be the most expensive 107 on the planet. 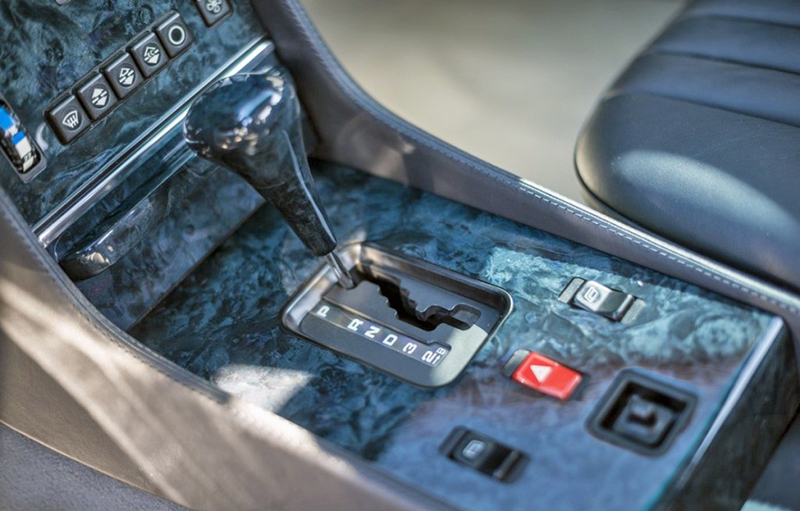 Note stitched leather console trim, rich blue burlwood and lack of heated seats..